Did you know that there are options in Windows 7,8 and 10 operating system, to turn on visual notifications on the desktop when sound is played? 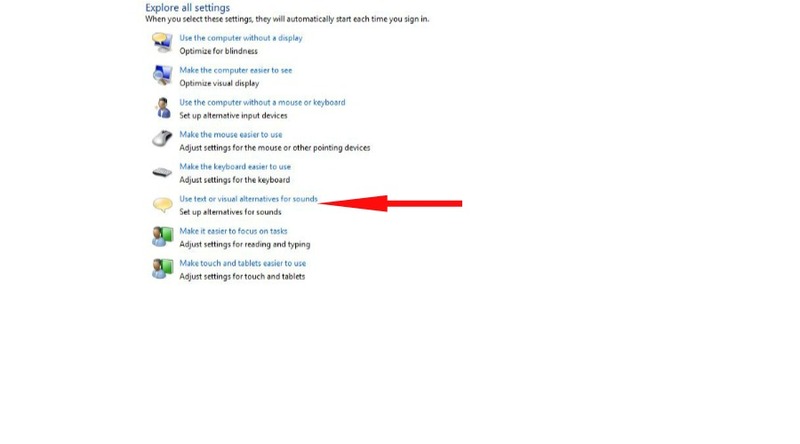 Turn On Windows Visual Desktop Notifications is a easy task. But most of our people don’t know about it and they also don’t know that how to enable it. Through this trick you will know that how to enable windows visual desktop notifications. Windows visual desktop notifications is a useful thing to all of us who use windows. It’s remind us about our windows. Sound notifications are what we all are familiar with while using up the computer devices and usually we use that for making us remind of any new action being played by the apps, the system of the Windows. There are many system apps in Microsoft Windows which produce a sound to alert you about something. Windows operating system diplays different sounds for different kind of notifications, like sound for errors, sound notification for messages on your account on social networks, and many different things. It could be an error or some notification sound for a task, like a printing job. But sometimes you miss the sound when you’re not mentally present in front of your computer or because of you’re sitting away from your machine. So, let’s know about How to enable Visual Notifications in Windows? First of all open start menu or if you have windows 10 or 8 then just search on search bar for Ease of Access Center. Now go to Ease of Access Center. Now you need to find out Use Text or Visual Alternatives for Sound option there and then click on it. Now tick the checkbox for Turn on visual notifications for sounds. After that in Choose visual warning box you need to select Flash Desktop. You can choose other options depending on your requirements. That’s all, from now onwards you could experience up the visual style notifications for any of the notifications that you would get on your PC. You have done your work. Do the trick through this simple process. Hope you like the trick.